Is it possible to eat a healthy meal at the home of the Whopper? 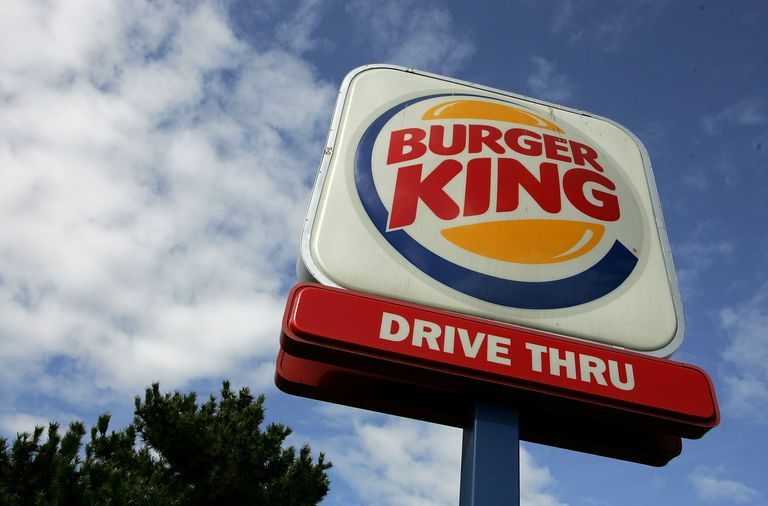 There are healthier Burger King menu choices, even for dieters. In fact, the BK menu offers a number of options that are lower in calories. But they might not be the items that you'd expect. Use these tips to order the healthiest thing at Burger King. There are a few things to keep in mind when you step into the home of the Whopper. Avoid combo meals. Combined menu items make it too easy to order more food than you need. Instead, go a la carte so you can customize the sandwich and sides that you choose to keep your calorie count low. Choose only one added fat. Choose one added fat on your sandwich or burger. For example, if you choose to have a Whopper Jr. with cheese, then asked for it to be prepared without mayonnaise. But if you love mayo, skip the cheese and say "light on the mayo" when you order. Otherwise, you'll end up with more fat and calories than you really need to enhance the flavor of your burger. Go grilled. Do you prefer the chicken sandwiches at Burger King? If so, order the grilled choices instead of the crispy kind. It makes a big difference in the amount of fat you consume. For example, the Grilled Chicken Sandwich has 470 calories and 19 grams of fat. The Crispy Chicken Sandwich has 670 calories and 41 grams of fat. That is more than double the fat in a similarly sized sandwich. Don't get fooled by fish. A fish sandwich sounds healthy, right? Not if you're watching your weight. The Big Fish Sandwich has 510 calories and 28 grams of fat. On the other hand, a small beef burger, like the Double Hamburger has only 310 calories and 15 grams of fat. Skip the big sides. There is no good option when it comes to fried side dishes. Medium-sized french fries provide 380 calories and over 17 grams of fat. Onion rings will set you back 410 calories and 21 grams of fat. You could eat a second burger for that number of calories. Need a healthy side dish? Choose applesauce. You'll consume only 50 calories, 0 grams of fat and it'll satisfy your sweet tooth. Say no to unhealthy salads. Salads aren't necessarily lower in calories or fat, even though you might think that they should be. The Garden Grilled Chicken Salad with Grilled Chicken, for example, has about the same number of fat grams and calories as a grilled burger, and that's without dressing. The Bacon Cheddar Ranch Chicken Salad with Crispy Chicken and dressing has 710 calories and a whopping 50 grams of fat. Many BK fans visit the restaurant to enjoy the popular Whopper. The classic burger provides significant calories (660), fat (40 grams) and even 1.5 grams of trans fat. This is also a high sodium food, providing 980 or more than a third of the recommended intake of sodium. If you choose a smaller version, the Whopper Jr, you'll take in 310 calories, 18 grams of fat, a half gram of trans fat, and 390 milligrams of sodium. It's hard to find a truly healthy meal at any fast food restaurant. You probably won't find important whole grains, the leanest meats and lots of green leafy vegetables in the drive-thru lane. Burger King is no different. Even the menu options that sound healthy are actually high in fat and calories. Your best bet is to choose smaller menu items to keep portion sizes under control. You can keep the calorie count low with these combinations. What food should you avoid if you're trying to maintain a healthy diet? The Bacon King provides 1150 calories and 79 grams of fat. And breakfast items can set you up a with a day's worth of fat and calories. The EGG-NORMOUS Burrito provides 910 calories and 55 grams of fat and the KING CROISSAN'WICH With Double Sausage provides 700 calories and 51 grams of fat. Almost everyone visits a fast food restaurant at some point. Enjoying a burger and fries at your favorite spot can be part of a healthy diet as long as you visit occasionally. Remember that you can access nutritional information for Burger King menu items online or download the full menu from their website. A single meal won't derail your diet, but be careful to make good menu choices based on the actual calorie counts and nutritional data rather than on the healthy sounding name.